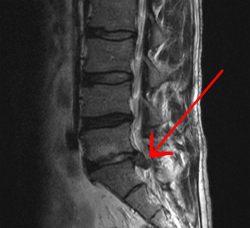 In this month's Journal of Bone and Joint Surgery article titled "Evidence for an Inherited Predisposition to Lumbar Disc Disease", the Department of Orthopaedics at the University of Utah School of Medicine examined the Utah Population Database to study over a million with lumbar disc herniations and disc disease. They looked for twin sibling studies and genetic markers to determine family clustering of these diagnoses. The study concluded that there was a strong correlation with near and distant relatives with lumbar disc diseases. No one study gives a patient the whole answer to their problems. It just gives a piece in the puzzle to the problem. By building these pieces for a solid and proven foundation, this information is another step for the answer many are waiting for like a possible genetic flaw in the protein of the annular fibers surrounding the nucleus puplosus. Lastly, I included an image of different spinal curvatures (lumbar lordosis) to show how alignment affects the progression of arthritis in a recent 2010 study done by BMC Musculoskeltal Disorders. All of this is something to discuss with your physician. Hopefully, you will find a doctor who is open to discussion. If they had all the answers, then there would be no need for research. Every once in a while there are new discoveries that completely change the way we look at diseases such as H. pylori and stomach ulcers.